I alternated this morning between angry, sad and anxious. Hardly a productive combination of ways of being: more like a recipe for turbulence and possible destructive action – which tends to create more emotional carnage and rarely anything with an ongoing positive flavor, at least not in my life. 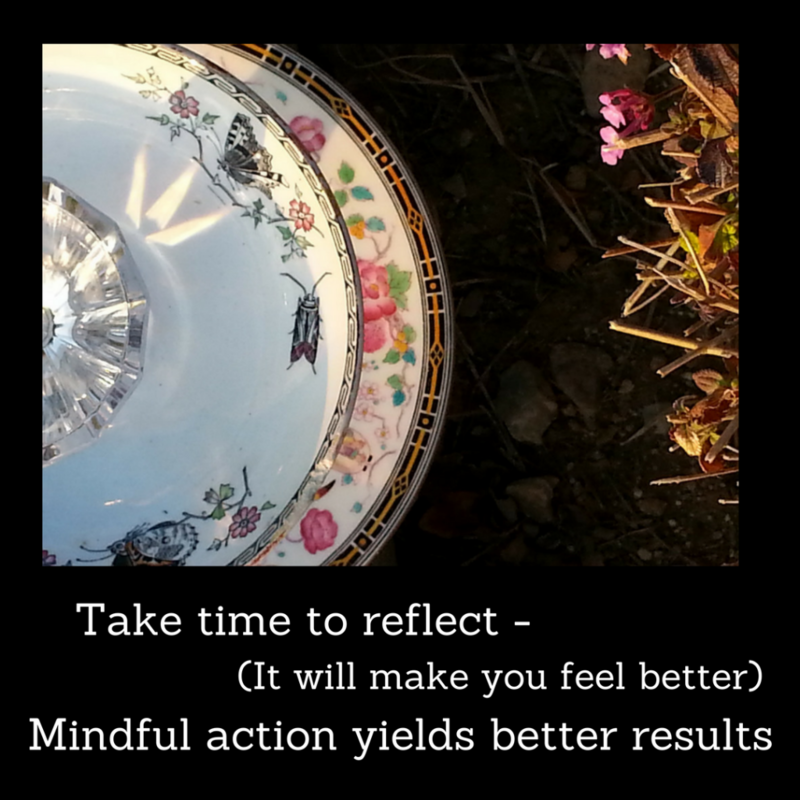 I managed to have small moments of reflection primarily because I know reflection will (eventually) yield results though sometimes – in the process – reflection feels pretty lousy. I wrote a micro-poem in a moment of anger this morning. I like it but I probably won’t rush out to post it all over social media because then my reflection turns into someone else’s pain. I don’t want to cause pain. Ever. Reflect in short bites. If it feels lousy at first, let it feel lousy with one caveat: attempt to keep your lousy in your own realm. Write, art or exercise out your reflections as a means of digesting whatever appears. Sometimes one, two or all three (and repeat) is necessary. Add an element of forgiveness into your process. Like in #5for5BrainDump when we focus on gratitude at the end of our five minutes, focus on forgiveness of yourself and others when you are completing your reflective time. Punctuate with gratitude and intention as feels right. Interesting to note: in simply writing these words (total time investment about 7 minutes) I feel better. I feel less cranky, less anxious, less fretful. Week ahead: I am coming your way. We are going to be great together! Julie Jordan Scott inspires people to experience artistic rebirth via her programs, playshops, books, performances and simply being herself out in the world. She is a writer, creative life coach, speaker, performance poet, Mommy-extraordinaire and mixed-media artist whose Writing Camps and Writing Playgrounds permanently transform people’s creative lives. Watch for the announcement of new programs coming in soon! 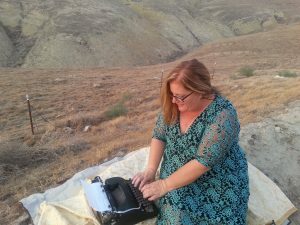 To contact Julie to schedule a Writing or Creative Life Coaching Session, call or text her at 661.444.2735. This Somewhat Sleepy Morning, I Knew: 3 Ways to Be a Mirror, Not a Deflector.